Dmitry Medvedev, the President of Russia, announced the end of Russian military operations in Georgia. In a statement made earlier today, Medvedev declared that the reason for Russia to cease operations was the humanitarian crisis in the region. On Monday, Russian troops advanced roughly 25 miles into Georgia. 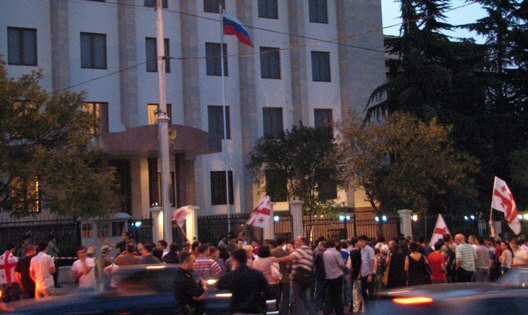 The Interior Ministry of Georgia said that Russian units had moved from the self declared republic of Abkhazia, to the town of Senaki, within Georgian territory. The Russian Defence department has stated that the push into Georgian territory was necessary because of the continued attacks by the Georgian troops in South Ossetia. A spokesman from the Georgian Interior ministry, said that Russian units had also taken control of the town of Zugdidi. The government of Georgia has announced that it has withdrawn all its troops from South Ossetia, in what it described as “a necessary step to protect civilians”. The Georgian military has made clear that they are not admitting military defeat by withdrawing. This comes just one day after Mikheil Saakashvili, the President of Georgia, declared that his country was in a state of war. “I have signed a decree on a state of war. Georgia is under a state of total military aggression by the Russian navy, air force, large-scale ground operations,” he said in a televised meeting that was broadcast on national television yesterday. The decree stated that “The state of war will be valid for 15 days [from yesterday].” It is not known if the state of war will continue after this withdrawal. The crisis broke out after days of heavy fighting in the region. On August 7 Georgian troops launched an offensive against the Ossetian town of Tskhinvali, the separatists capital. The next day Russian forces, without declaring a war, entered the territory of Georgia and bombed several targets in the country. Mikheil Saakashvili, the President of Georgia, has declared that his country is now in a state of war. “I have signed a decree on a state of war. Georgia is under a state of total military aggression by the Russian navy, air force, large-scale ground operations,” he said in a televised meeting that was broadcast on national television. The decree stated that “The state of war will be valid for 15 days.” The period of 15 days started today. The crisis broke out after days of heavy fighting in the region. 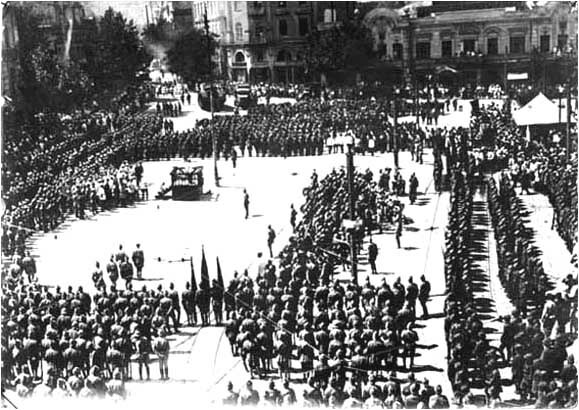 On August 7 Georgian troops launched an offensive against the Ossetian town of Tskhinvali, the separatists capital. Georgia’s President Mikhail Saakashvili proposed Saturday at around lunch time local time, to declare a cease fire in the breakaway province of South Ossetia. Saakashvili, speaking at a news conference Saturday, also proposed that the warring parties be separated. Georgia’s Security Council secretary, Alexander Lomaia, said Saakashvili’s proposal means that the Georgian troops will withdraw from Tskhinvali, the provincial capital of South Ossetia, and stop responding to Russian shelling.